PaintCare Inc. Minnesota - PaintCare Inc. It is more convenient than ever to recycle paint in Minnesota. Since the start of the Minnesota paint stewardship program in November 2014, PaintCare has set up 255 drop-off sites where the public can take unwanted, leftover paint for recycling. These sites are at paint retailers (paint and hardware stores) and county household hazardous waste facilities that have volunteered to take back paint, and they are available to any household and most businesses in Minnesota. These locations accept paint whenever they are open for business. A few restrictions apply. There are limits on how much paint can be dropped off per visit. Each drop-off site sets a limit and it is usually 5 gallons (some accept more). Businesses that produce less than 220 pounds (about 20 gallons) of hazardous waste per month are known as Very Small Quantity Generators (VSQGs). VSQGs can use the program for any amount latex paint, but they can only drop off up to 20 gallons oil-based paint if they certify their status as a VSQG, in compliance with requirements of the Minnesota Pollution Control Agency. Businesses that generate more than 220 pounds of hazardous waste per month can only drop off latex paint. When you decide it’s time to recycle your paint, please call your site ahead of time to confirm their hours and to make sure they have space to accept the amount of paint you would like to recycle. 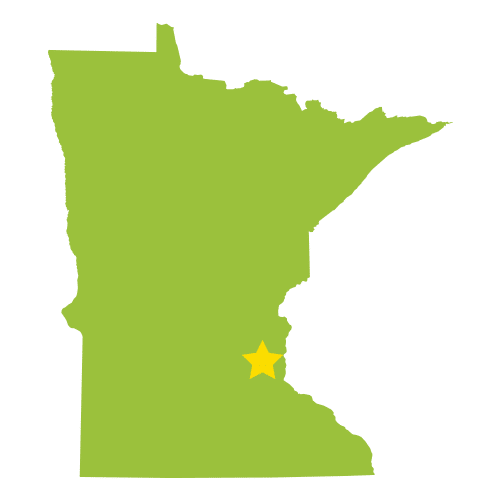 In greater Minnesota, you can find your county’s contact on the Minnesota Pollution Control Agency’s website. Use our PaintCare Site Locator to find the county facility nearest you. 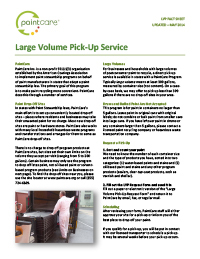 If you have 200 gallons or more of total accumulated paint, please see the section below on Large Volume Pickups for direct collection options from your business. Information for painting contractors is available in English, Spanish, Hmong, and Somali. Employee training logs for the PaintCare program. Download the training log here. Shipping documents provided to the retailer by PaintCare’s contracted transporter. VSQG logbooks for businesses dropping off oil-based paints. 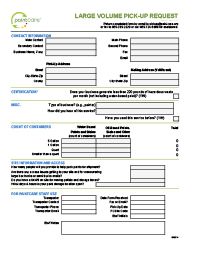 To obtain a logbook, please contact spincuspy@paint.org. b. Sell Registered Brands: Retailers must make sure that they do not sell unregistered brands of architectural paint. Retailers can verify the registration of manufacturers and brands using the following lists which are updated regularly. If you are a retailer and do not see a manufacturer or brand of paint sold in your store on this list, please contact PaintCare at (855) 726-6809. Fact Sheet: Painting Contractor. This document is helpful for retailers to explain the program to their customers who are painting contractors in advance of the program so that they can be prepared to incorporate fees into future job estimates. Fact Sheet: PaintCare Fees Answers to common questions from retailers about fees. PaintCare welcomes partnerships with municipal agencies, especially those that operate household hazardous waste collection programs, landfills, and transfer stations. PaintCare covers the cost of paint storage bins, paint transportation and recycling, and public outreach and education. There is no monetary compensation for operations or labor costs associated with serving as a drop-off site. To learn more, please see the following fact sheets and interest forms. For municipal agencies that wish to offer services to PaintCare in addition to serving as a drop-off site, monetary compensation may be negotiated. These services include reprocessing paint at your site, bulking paint in situations where storage space is limited, offering usable paint in original containers to the public (“Reuse Program”), and transportation from municipal-owned satellite locations (e.g., landfills) to a main site. 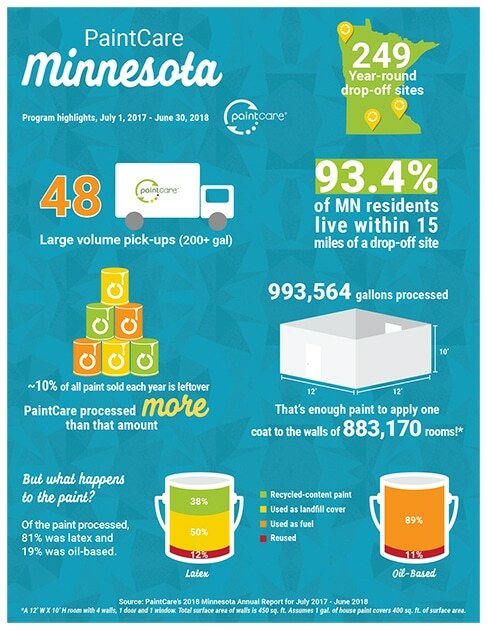 This one-page infographic (8.5″x11″) highlights the successes from the most recent reporting period for the Minnesota PaintCare Program (July 2017 to June 2018). Please consider downloading and printing a copy of the infographic and then posting it for staff and the public at your business or organization. PaintCare prepares an annual report for the 12 months ending June 30. The first report for Minnesota covers 8 months because the program started in November 2014. On January 11, 2019, PaintCare hosted a public webinar to review its most recent Annual Report and provide an update on program activities. A recording of the webinar is available here. This plan describes the operations, outreach, and other activities for the Minnesota Paint Stewardship Program. The Minnesota paint stewardship program is required by Minnesota Paint Product Stewardship Law (2013). The oversight agency for the Minnesota paint stewardship program is the Minnesota Pollution Control Agency (MPCA).